Rare release from Patron back in stock! This extraordinary extra añejo tequila is crafted entirely from the “Tahona” process, a time consuming and ancient method for creating tequila. To produce Gran Patrón Piedra, first we select the highest-quality, 100 percent agave from the Highlands of Jalisco, which we then steam-cook and slowly crush with a large volcanic stone Tahona wheel. The resulting juice is then fermented and distilled along with the agave fiber. Piedra, which means “stone” in Spanish, is one of very few tequilas that is still produced in this age-old way. 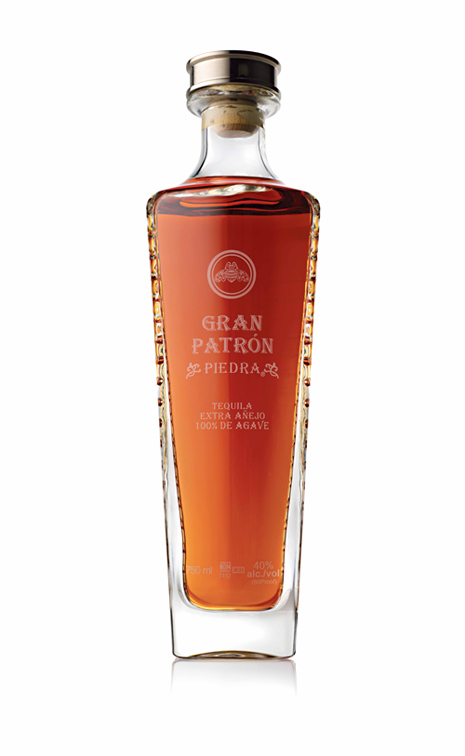 After distillation, Gran Patrón Piedra is meticulously aged for more than three years in new American and French oak barrels for a deep mahogany color and sweet, subtle aroma of fruit, fresh mushroom, light citrus, and toasted French oak. The distinctive Gran Patrón Piedra bottle, which was inspired by the Tahona stone, is packaged in an elegant box that converts into a beautiful display case.